Got a new puppy? Let us help you enjoy your puppy! We can assist with getting off to a great start and help you manage the inevitable, initial puppy challenges. This comprehensive 5-week program trains you, the owner, as well as your puppy and goes far beyond what is being offered by pet shops. Puppies can bite, scratch, jump, chew and get into all kinds of mischief if not guided correctly from the start. These are all normal things and it's just important to guide and direct your puppy properly. Puppy time should be fun. Let us help you and your puppy to become a great team and teach your puppy how to be the family member you want it to be. 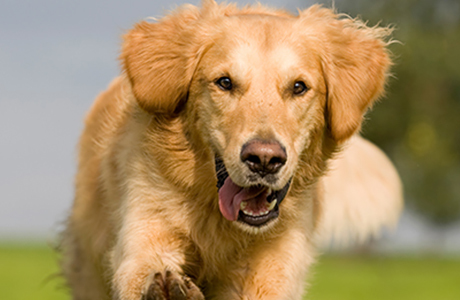 Learn how to manage the initial puppy challenges. Enjoy puppy cuddle time without becoming a bite pillow. Keep your furniture and shoes safe from your puppies natural need to chew. Get compliments for your puppy for walking on a loose leash. Learn how to teach your puppy and become a great team. Board & Train option only: You'll receive regular picture updates during training and we'll set up a personal YouTube playlist with training videos of your dog. Those videos will remain online after training for you to view, download or share with anyone you like. A great memory! Five weeks of comprehensive, fixed-price, in-home puppy training with performance guarantee and we come to you. Also available as a 3-4 week Board and Train package. Let's stop the biting and scratching and get your puppy on the right track. We will help you integrate your puppy into the family to make sure it is a joy. We'll cover housebreaking, stopping biting and scratching, keeping your shoes and furniture safe while teething, building a great relationship with your new pup and loose-leash walking. Enjoy learning with your puppy! You will love working with our trainers in a motivational, engaging way and watch your puppy learn. Our puppy package is the perfect start for your new companion and can be upgraded to any of our more advanced training programs afterwards at a discount.